Up to 50% Off Advance Ticket Bookings at trainline Plan your trip early and save up to 50% on tickets when you book in advance at trainline. 1/3 Off Adults Travel Costs Plus 60% Off Children's with Family and Friends Railcard at trainline With a Family and Friends Railcard, up to 4 adults and 4 children can make a huge saving on their travel costs! London to Paris from £29 at trainline Head to Paris for as little as £29 one way when you book at trainline! 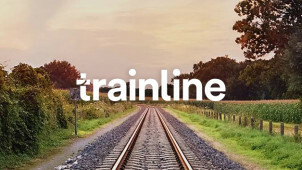 Up to £64.20 Off Manchester to London Fares at trainline Make a fantastic saving on your journey from Manchester to London at trainline. Up to £20 Off London to Birmingham Fares at trainline Great savings to be made on London to Birmingham trains! By choosing trainline to book your rail tickets you’ll have access to more affordable travel options. With possible discounts of over 40%, you’ll have more in your pocket to spend when you arrive at your destination. There is a multitude of online tools available for savvy rail travellers to always find the best deal and ensure every journey is as cheap as it can be. There's money to be saved with flexible fares, railcard discounts and much more. Plus, it's worth signing up for cheap ticket alerts so you never miss out on low prices and always travel by train for less. Read Trainline’s booking tips, use the station finder map, and read information about station opening times online to enjoy a smooth journey. To find out more about the variety of discounts available, visit the ‘Deals and Offers’ page here. Discover current special offers including % discounts, holiday package deals, free extras, 2 for 1 tickets and much more for future trips too with your Trainline voucher 2017! Check out Trainline’s traveller ‘Deal of the Day’ too - showcasing limited-time daily deals for local attractions, train travel specials and more. How do I use my trainline discount code? The prices shown will already include your discounts! Simply complete the payment and booking process as normal, checking out with your lower priced train tickets in tow! "At the checkout, choose the ‘self-service ticket machine’ option instead of paying for delivery. This option is free so you’ll save on postage costs! Simply collect your tickets in advance from your chosen collection point, or arrive at the train station early to pick your tickets up from the station ticket machine." Can I cancel a trainline advance ticket booking? If you have booked a ticket type named ‘Advance Single’ or ‘First Advance Single’ you can change the date and time of your journey and buy tickets for the correct journey and receive a refund for the first tickets. Advance tickets are not refundable if you are not travelling anymore, or travelling on a different route. Will I get a refund if my train is delayed? Many train service providers with journeys bookable through the trainline offer compensation as part of the Delay Repay scheme. If you experience an unplanned disruption which delays your journey for more than 30 minutes, you may be eligible for compensation. Find your train company here to find make a claim. How do I contact trainline? The trainline team are a friendly bunch and are on hand to help with your online booking, payment and finding the cheapest rail fares too! Send an email, tweet them @thetrainline or pick up the phone to speak with the experts on everything rail related. The team are available every day of the week from 8 am to 10 pm- so the answer you need is always close at hand. Self-service ticket collection is free. For postage costs see the trainline website. Refunds or compensation may be available from selected operators if your train is delayed by more than 30 minutes. For full details see the trainline website. Do you want to find the best deals on rail fares and train tickets? It’s Trainline’s mission to help you, and now with a Trainline discount code you can get further afield for less any time of the year! Using Trainline will help you find the cheapest fares, let you book in advance to save hassle at the station and offer you great savings on car hire, hotels and even theatre tickets.For travellers, it’s the first stop for great savings. You can book European train tickets with trainline to secure a low ticket price for your break away. European carriers like SNCF, italo and Eurostar trust all have tickets available to buy through trainline. Avoid the traffic and choose the train to London for a whirlwind weekend in the big smoke. Nothing kicks off a breakaway in the city like pulling into the grand station of London King's Cross, especially when you've saved on your journey with our range of Trainline vouchers. Step out onto the bustling streets, ready for the food, shopping and nightlife at your disposal. Book a West End show, feast on the latest foodie delights taking the city by storm and shop until you drop, and enjoy the best of the capital for a weekend break away.